A new group exhibition at Jane Lombard Gallery features work by Ergin Çavuşoğlu, James Clar, Mounir Fatmi, Nadia Kaabi-Linke, and Shahpour Pouyan. Speaking Power to (Post) Truth runs from 17 January to 16 February and is curated by Sara Raza. The artists exhibiting in Speaking Power to (Post) Truth have combined their work into a large, complex, site-responsive display with interwoven narratives, temporalities and realities. Resisting isolated narrative or simple conclusion, the exhibition format brings traces of the artists’ active studio practice into the gallery, and in itself constitutes an examination of (post) truth - the unstable relationship between truth and fiction as it plays out through society, identity and consciousness. Two large scale site-responsive installations by Kaabi-Linke and Çavuşoğlu form numerous central discursive threads through the exhibition. These works examine the mechanics behind the production of bias and reflect on the cultural impact of conscious and unconscious bias. 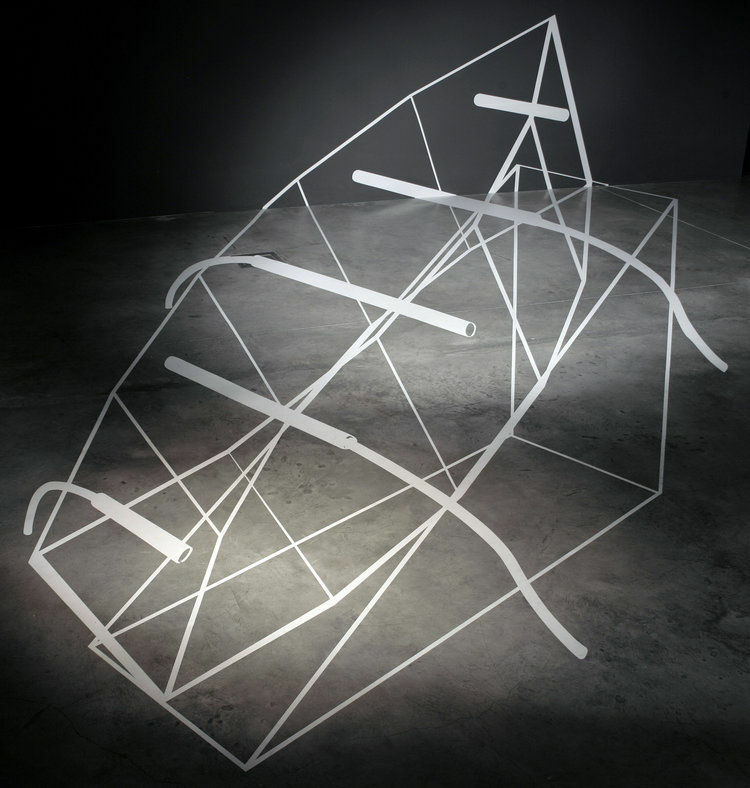 Çavuşoğlu presents Silent Systems, a 2011 interactive work which evokes Noah’s Arc via a 3D rendered ship. The audience can interact with the drawing by walking across its surface - their movements are recorded by a security camera; the recordings are relayed to a monitor, which displays the audience seemingly waking inside a sculpture. Through these devices the work connects migration, consciousness and surveillance, and has visual and thematic links to Çavuşoğlu’s 2012 work And I Awoke. Kaabi-Linke’s 2018 work, Mistake-Out, is a mosaic wall installation created on site from white fragments made from newspaper and white correction fluid. The installation traces bullet holes in the wall of a building in the publishing district of Berlin. By connecting these materials with publishing the artist questions the impartiality of news production - the biases inherent in how the news is edited and disseminated. Other works in the exhibition reflect on the articulation and erasure of reality, the relationship between the symbol, the abstraction and the real. James Clar’s 2012 installation Wake Up brings together readymade objects, carefully relating them to communicate reality’s reliance on plastic, metal and production lines. With his 2018 video work The Human Factor Mounir Fatmi looks at the relationship between colonialism and the Art Deco figuring of the exotic. A series of 39 drawings by Shahpour Pouyan look at how personal memory relates to architectural damage and preservation. Memory Drawings (2015-16) articulates the memory of a destroyed tomb , part of an 11th Century mausoleum near Mosul which was destroyed by ISIS in a targeted erasure of cultural heritage. New Dawn (2019), a new installation by Clar, uses LED lights and fog as an allegory for complex and paradoxical cultural and political situations. Speaking Power to (Post) Truth is at Jane Lombard Gallery, 518 W 19th St, New York, NY 10011, USA from 17 January to 16 February.